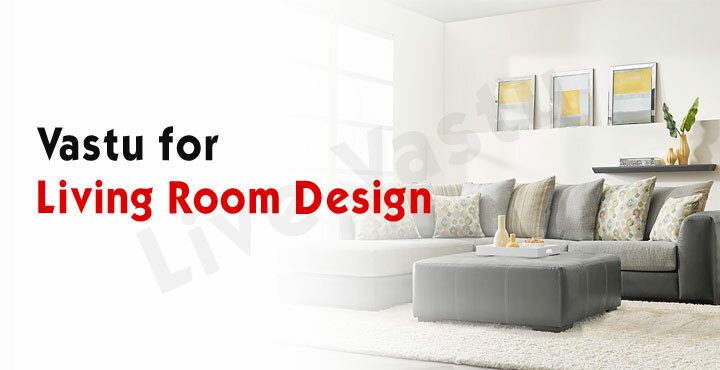 Vastu for living room design ensures flow of positive energy which in turn ensures wealth, happiness and prosperity for the inmates. These positive vibrations spread positive energies, making room for success, joy and contentment within the house. Here are a few tips of Vastu for living room design where we entertain our guests and spend quality time with our family members. • A living room should be constructed in the east or in the north direction. However, it is best when positioned in the north. • The north-west direction, which is the direction for air, is also considered feasible for a living room. The idea behind this is that since air is not static even the guests coming here would not stay for long and would leave early. This would hence serve as a boom for families who want to avoid late night parties. • The north-east is the direction where God resides and hence it too is considered to be a good direction for the location of a living room. • If the living room is positioned in the north it tends to bring in a lot of wealth and health for the entire family. • Never make a living room in the south west area of the house or else your guests would become permanent residents of your house. • Even the ceiling of the living room is considered auspicious if it slopes towards the east or the north. • The door of the living room should be in the east or the north as this tends to bring in overall health, wealth and prosperity. • People who are scholars and researchers should have their living room entrance in the west. • If the entrance of the living room is from the northwest it supports overall development in all segments of life. • The south east corner should have the television. It should never be placed in the north-east or north-west corner or else a lot of time will be wasted by the family members watching the idiot box all the time. • The telephone should be kept in the east, south-east or north.